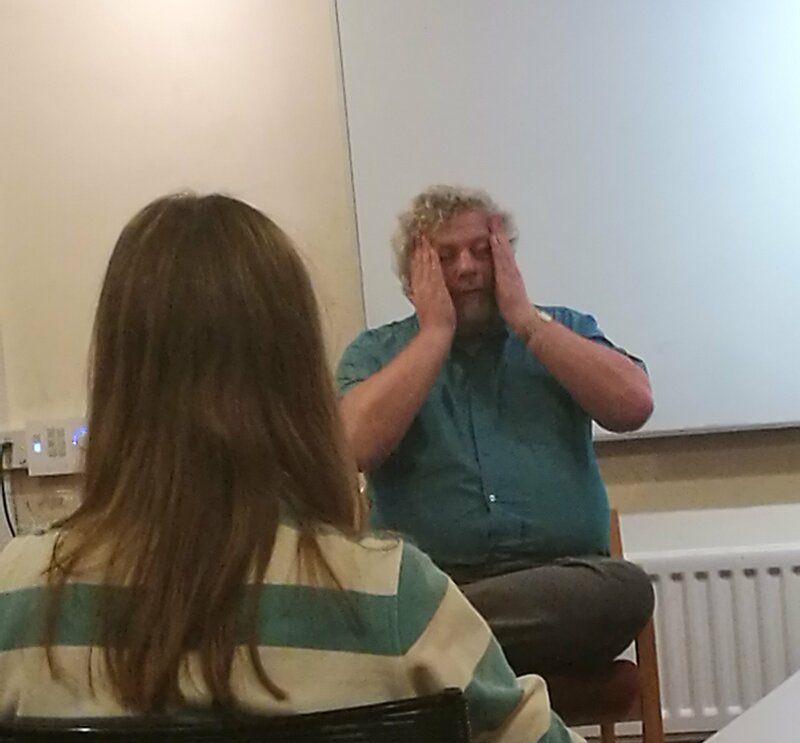 Many thanks to OU Doctor Who Society who let me attend a recent meeting where Rob Shearman was giving a talk. Apologies to Rob for the picture – it’s the best of the few I managed with my phone! After a lightning fast tour of his entire career before writing for the Ninth Doctor, Rob focussed on the writing (and filming) of Dalek. I came away with a real sense of how Rob, Mark Gatiss and Steven Moffat worked with RTD to help create that first season, and how much work there was. A very large number of scripts were produced, and they even had to contend with not having a licence for the use of the Daleks for a period. How this got resolved is a tale in itself, and involves and early brush with what would become the Toclafane. Rob also gave his take on Christopher Eccleston, how good Billie Piper was and the character of Adam Mitchell. It was fascinating stuff and dotted with references across to his Big Finish work. Again I got the sense Rob enjoyed being part of the beginnings of Big Finish and particularly his work with Colin Baker. Frobisher even got a mention as did the promise to write more for Big Finish once the right idea comes along! The story of writing Scherzo, producing Jubilee in a gap while working on the TV show Born and Bred and much more beside all contributed to a great talk, and plenty of questions flowed from the audience. Thanks again to the society for letting me attend.